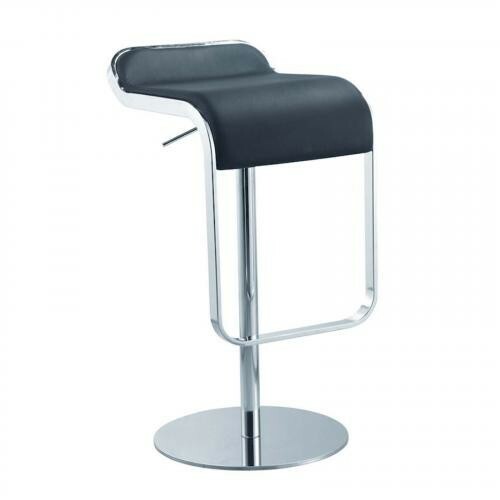 The Lem Bar Stool Chair is a swivel chair the bottom base is polished steel and the frame is chrome. Chair is height adjustable. Height Adjustment from 23" - 27"